'MTSU On the Record' rings in ..
MTSU students and their faculty mentors who are preparing for the 12th annual Scholars Week 2018 must submit their abstract proposals by noon Tuesday, Feb. 20, said Dr. Andrienne Friedli, Scholars Week Committee chair. Abstracts should be submitted online through www.mtsu.edu/scholarsweek. Each online abstract submission will include a project title and 150- to 300-word summary of the research project. Only submissions with undergraduate and graduate students as first authors will be eligible for judging and prizes. Applicants will be notified about acceptance decisions by Monday, Feb. 26. Scholars Week will be held March 19-23. Events will include department and college activities in discipline-specific venues for presentation of graduate, undergraduate and faculty scholarship. Proposals for each college event have separate submission processes and deadlines. Planned activities will include talks, readings, performances, posters and multimedia presentations, said Friedli, a chemistry professor and longtime committee chair. 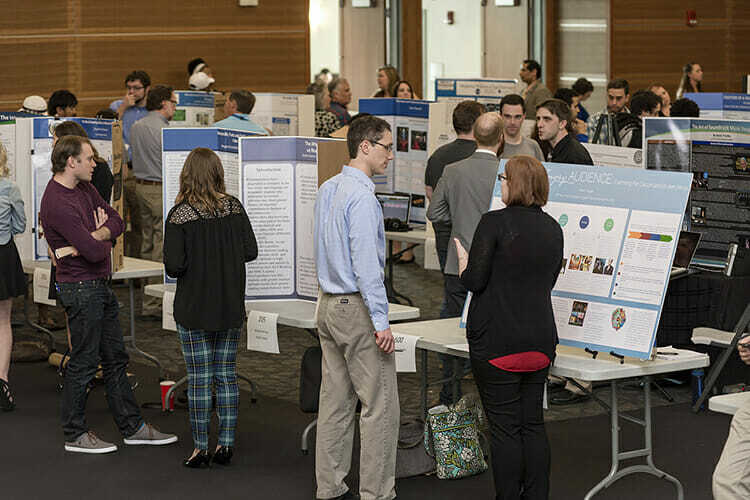 The celebration of Scholars Week will culminate in a universitywide showcase of posters, multimedia and more starting a 12:40 p.m. Friday, March 23, in the Student Union Ballroom. Judges will select the winners from each of the colleges. The awards ceremony begins at 3 p.m. The Scholars Week Committee includes representatives from all of the colleges within MTSU. They help arrange the individual college Scholars Days during the week.